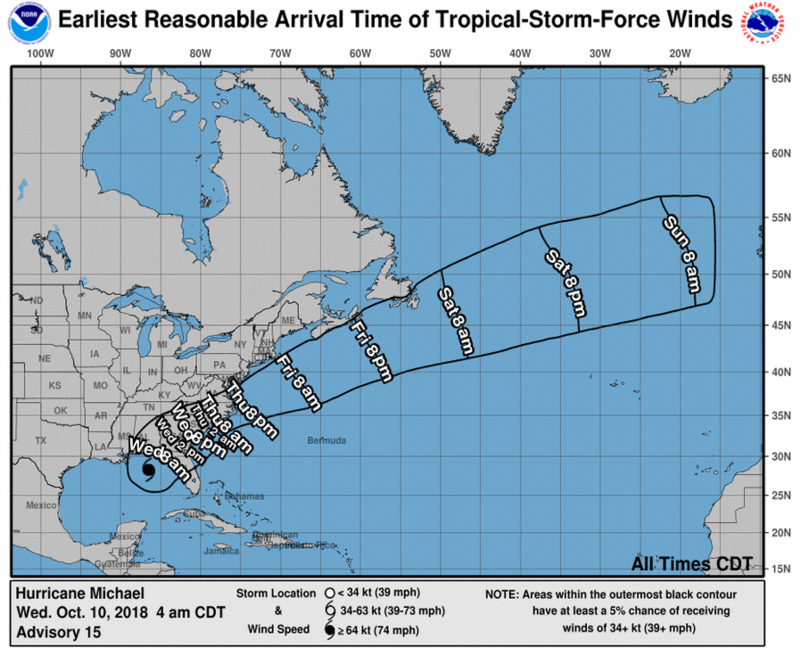 Hurricane Michael is now a Category 4 storm, with maximum sustained winds of 140mph. As of the 5am update it was located about 140 miles south, southwest of Panama City. Michael is expected to make landfall in the Panhandle sometime today. National Hurricane Center Director Ken Graham says the greatest concern is storm surge. Hurricane, Tropical Storm and Storm Surge watches and warnings are in place along the Gulf Coast. This is from the 7 am advisory from the National Hurricane Center.